An elegant fall wedding at the United States Naval Academy & Hidden View Farm in Annapolis, Maryland. Emerald green bridesmaids dresses, floral crowns and more! 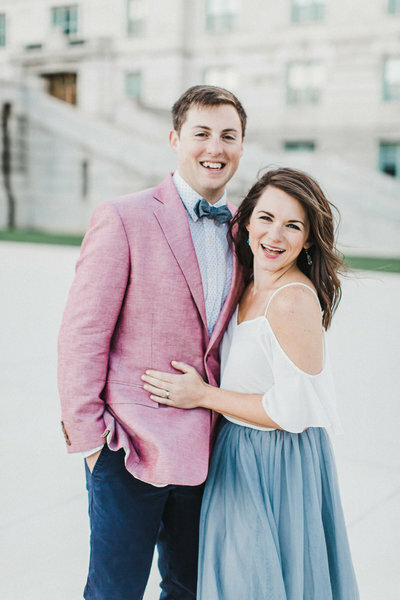 Since Mary Ellen and TJ’s shared family history of the Naval Academy brought them together at a random bar in Philadelphia, it only made sense that they return to the Academy for their wedding. Their reception took place the Annapolis Waterfront Hotel where Intrigue Designs created one of the most beautiful reception rooms we’ve ever seen! Need a little wedding bouquet inspiration for your big day? Look no further! The floral arrangements at weddings are always some of our favorite details. And there’s nothing like a well-designed bouquet to bring everything together. We’re fortunate to work with some of the best floral designers in the industry over the course of the wedding season. As our 2016 wedding season draws to a close, we want to take a few minutes to highlight some of our favorite bouquets.